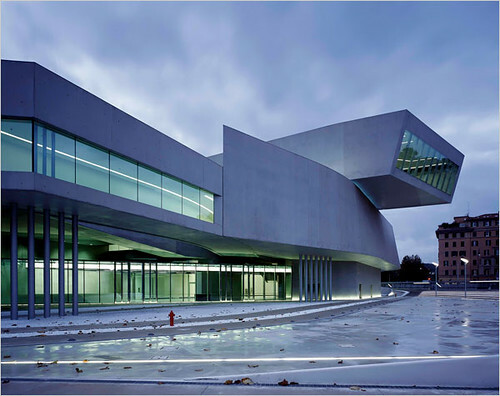 In 1998 the Italian Ministry of Cultural Heritage published an international call for tenders for MAXXI, the new museum of contemporary art on the outskirt’s of Rome’s historic quarter. Among 273 candidates Zaha Hadid Architects convinced the jury yet another time with a spectacular concept to integrate the modern architecture perfectly into the city’s urban structure. The museum opened last Saturday. More pictures on the NYTimes webpage.